Night Moves race #4 and the entire series is in the books. We were sold out before Race #3 was even over, we opened up 10 more spots which quickly sold out, and then we sold out another 10 spots with a week to go before the final race. 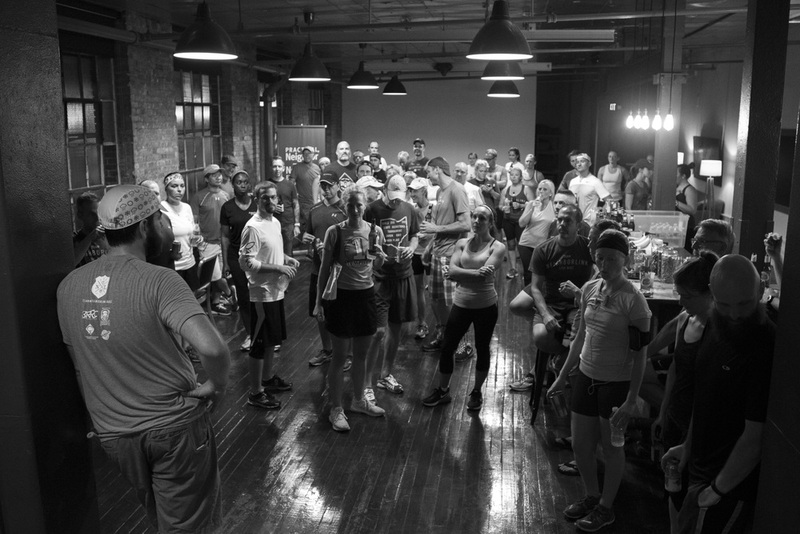 Over 60 runners signed up and we had another half dozen runners show up to join us at Anchor Films and Summit City Brewerks. 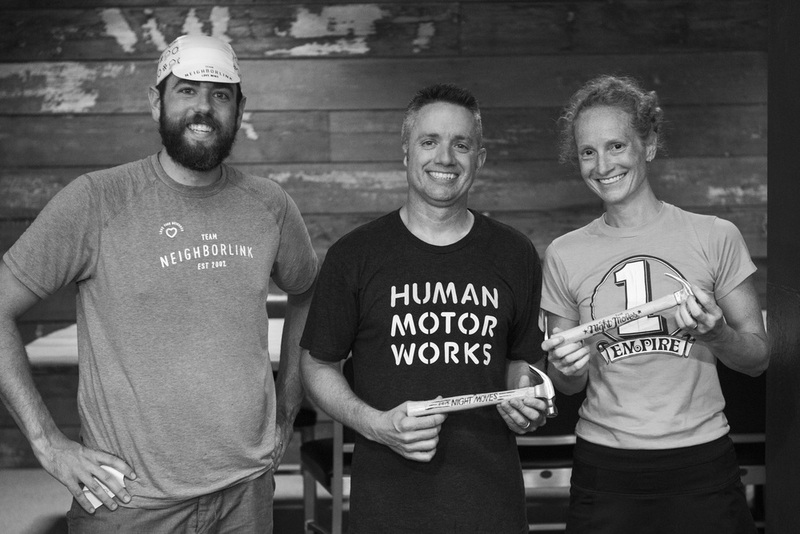 We chose the far east side of downtown because we wanted to draw athletes to some great businesses that have invested in a property that could have easily been forgotten, and it's proximity to one of the great downtown adjacent neighborhoods, Lakeside. Not only did we want to highlight downtown proper, we wanted to show that you could live in a fantastic neighborhood within a mile of the heart of the city. The extra folks and the buzz that has constantly built since the first race made for an incredible vibe throughout the entire event. We were able to bring our new truck which because the backdrop to a dozen pictures or so. The course weaved east over Anthony St bridge and then headed north up one of the most majestic streets in Fort Wayne, Forest Park Blvd. The course weaved back towards Lakeside park and back to Berry St via the Tecumseh viaduct. Total distance was just over 3mi. The additional 20 people brought out some competition for the fastest runners. Paul Richardson took ownership of the race with less than a mile to go and finished with a time of 21:12. Gretchen Steele kept pace with the main group of male runners and finished as the top female runner with a time just over 24 minutes. Overall, Night Moves was all that we hoped it would have been, and far exceeded our expectations. 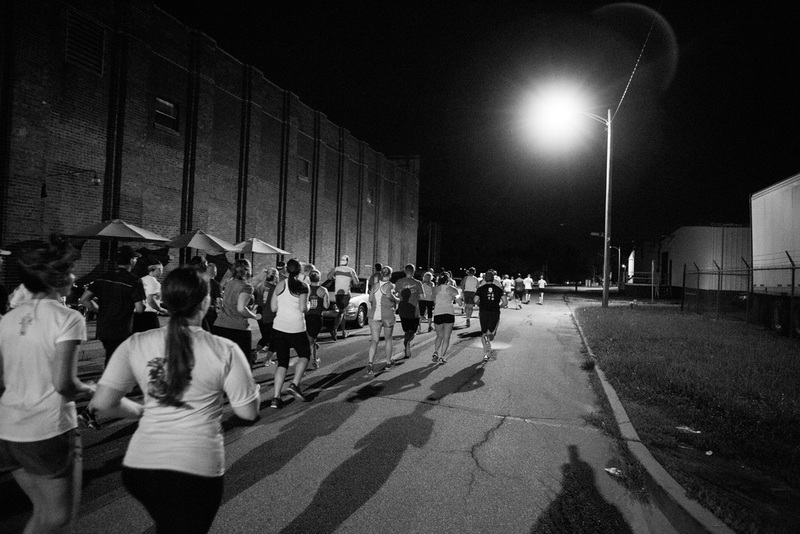 We've never organized a running event, let alone a series or runs, but we knew that we had a good idea. No matter how good you think your ideas are, it's up to the participants to show up to validate it. Thank you to the 158 participants who did more than validate our efforts by showing up, but through all your kind words and demands for more events. We couldn't have done it without the volunteers who showed up on their bikes and with their flashlights to help keep runners on course. We learned that they had just as much fun as the runners. Thank you to the local businesses that said yes to hosting us and offering discounts for our athletes. Pint & Slice, JK O'Donnells, One Lucky Guitar, Anchor Films, and Summit City Brewerks were all brilliant to work with. We'll be back this fall with another event or two. Stay tuned! ps.. 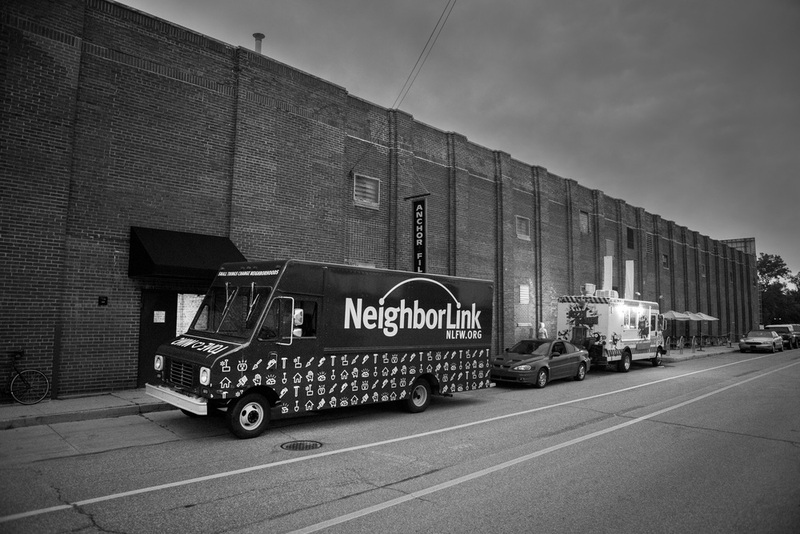 Runners - If you had a blast and would like to get more involved at Team NeighborLink and helping with these kinds of events, let us know. If you have ideas that could work but not sure how to go about executing them, join us and we'll try to make them come alive.